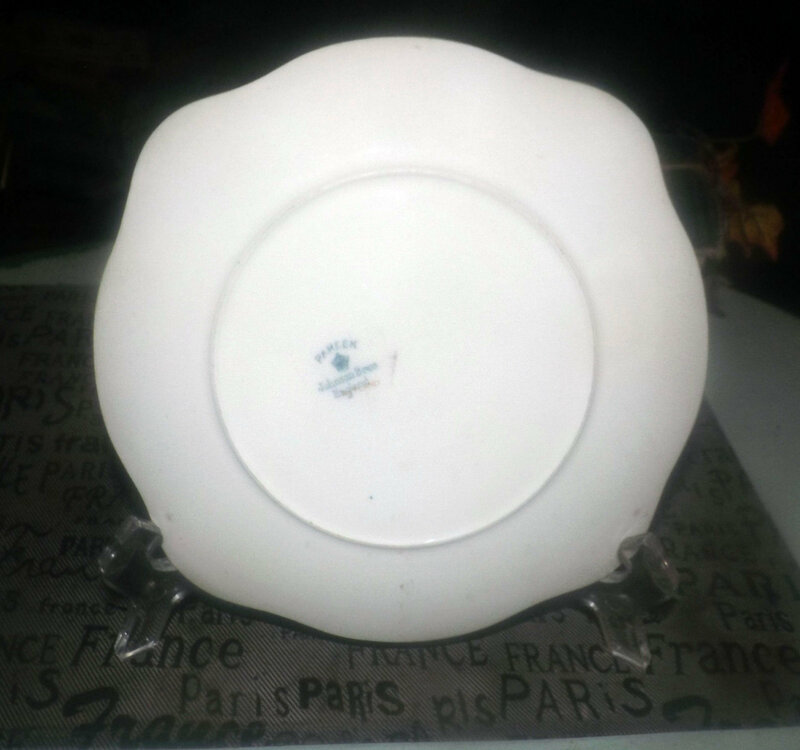 Antique (1913-1926) Johnson Brothers Pareek Rutland squared salad | side plate. Imari pattern cobalt, gold, rust. Art nouveau florals. 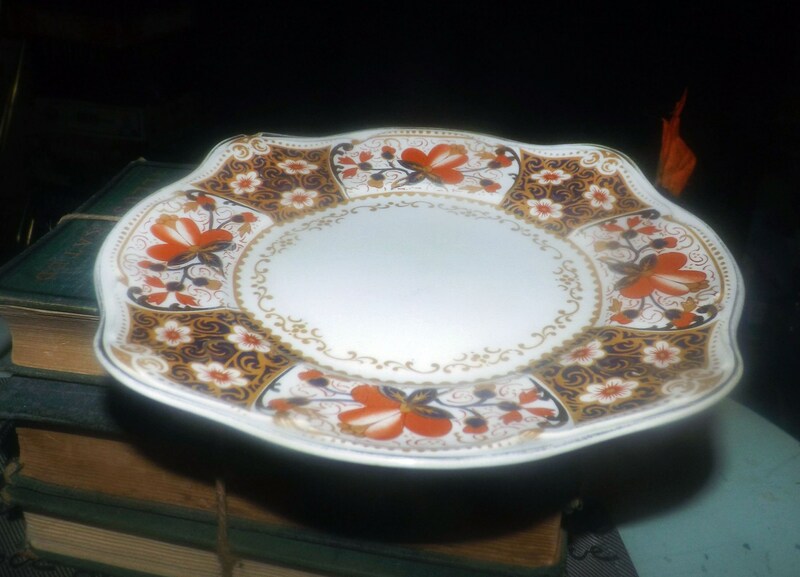 Antique (1913-1926) Johnson Brothers Rutland pattern salad or side plate. Rutland, part of Johnson Brothers Pareek line, is a striking, luxurious Imari pattern featuring cobalt, gold and rust panels with art nouveau florals and flourishes. In VERY GOOD! 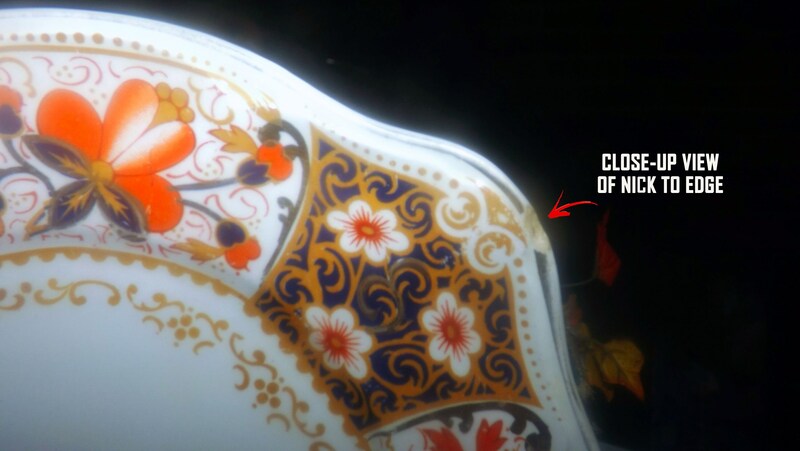 antique condition, there is a fleabite to the edge (please review each of the posted photos for a complete visual of the item). Otherwise, there are NO! other chips, nicks, or fleabites and NO! cracks. There are MINOR! scratches to the gold and cobalt panels and florals and there is MILD! 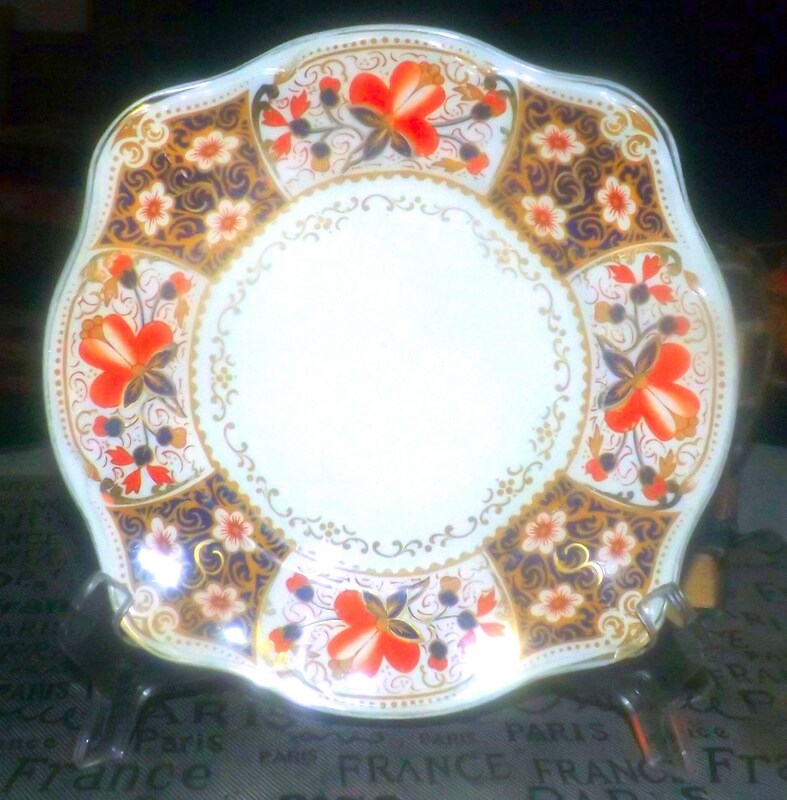 crazing (considering the age of the plate). 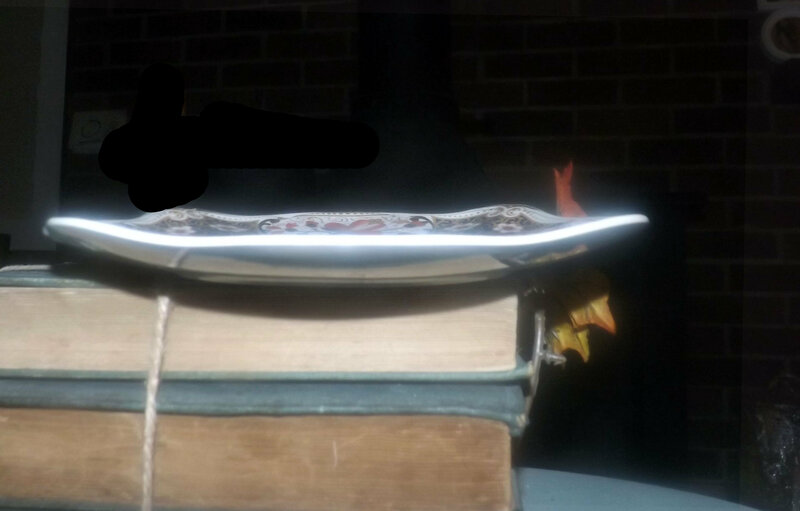 Approximate measurements" 8-1/4" in diameter (measured edge to edge across the front of the plate) with a scalloped, gold edge.